Heeft u een vraag voor Chingjing Suwu B & B? 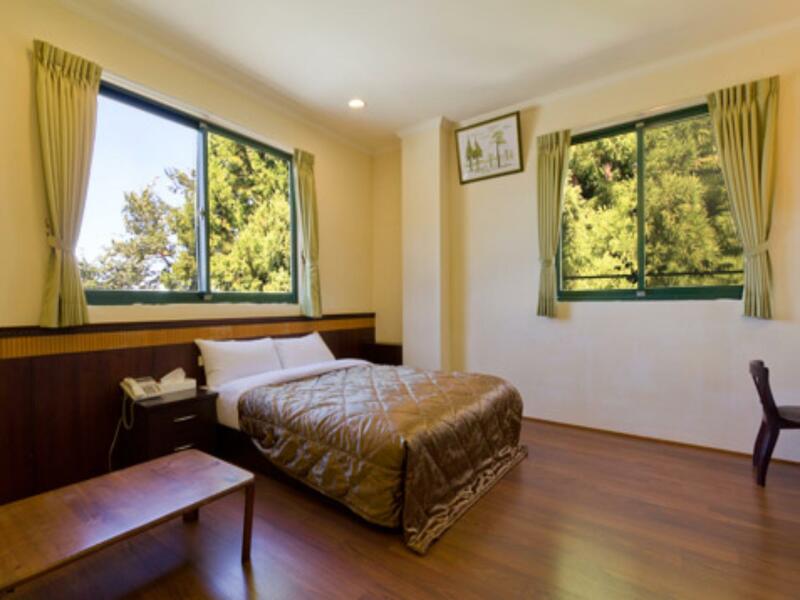 Gunstig gelegen in Nantou, is het Chingjing Suwu B & B een goede uitvalsbasis om deze levendige stad te ontdekken. Op slechts 52.5 km gelegen vanaf het stadscentrum en van het vliegveld, trekt dit 2.5-sterren hotel jaarlijks vele reizigers. Dankzij de praktische locatie liggen alle belangrijke trekpleisters in de buurt van het hotel. Het Chingjing Suwu B & B biedt een onberispelijke service en alle essentiële voorzieningen om reizigers een plezierig verblijf te bieden. Dit hotel beschikt over vele faciliteiten die zelfs de meest veeleisende gasten zullen overtuigen. Hotelkamers zijn zorgvuldig ingericht om het hoogste niveau van comfort te bereiken, met plasma tv, spiegel, internet (draadloos), draadloos internet (gratis), rookvrije kamers in iedere kamer. Daarnaast garanderen de talrijke recreatieve mogelijkheden dat u zich tijdens uw verblijf kunt vermaken in het hotel. Met een ideale locatie en bijpassende faciliteiten, is het Chingjing Suwu B & B voor veel gasten precies wat zij zoeken. I was given a room with magnificent view of the mountain ranges. This was strategically located near Green Green Grassland. Guests can start exploring around Green Green Grassland to Swiss Garden which is located at the lower part of the whole area. That is much easier since there would be little ascends when walking through trails. Then just ride a bus going back to Green Green Grassland to this minsu. They were also cheaper than other minsus around. The location is far!! It will not be happy for you if you were carrying a lot of luggages, specially they are bulky. Although it considers near with Ching Jing farm, it still takes 7-10 minutes to walk there. However, the room is big and comfortable. It depends on what kind of travelling type you are. If you are travelling with parents with NO own vehicle, I will not recommend you to stay here. If you have SOLO/ Couple/ Friends, and you don't mind to walk far, it's your option! The hostel is located near to Green Green Grassland, it was not so easy to find, and not easy to travel to there without a car (generally not easy to travel in Chingjing without a car). The hostel is family style, staff is not always at the reception in the night, so better give them a call if you check-in late. The hostel provide breakfast (congee & toast). There is no hot water between 11pm-6am. It takes sometime to get the hot water started. The environment is very quiet, you can sleep very well during the night. Cleanliness is average. Make-up room is on request. Heater not working and room was not cleaned well. Very Dusty. Breakfast was very poor as well. There was no help to bring the luggage up to the highest floor we stayed in. The lady staff receptionist was friendly. Nice view and the environment is superb. however, it is not recommended if you do not have any transportation because there is no public transport nor taxi available after 8pm and it is not recommended to walk from Swiss Garden to the hotel during night time. The place was comfortable and nice during daytime, the only problem is there was no heater in the room and it was really cold at night. The staff was friendly and the hotel was very near to CingJing Farm's North door. Only the rooms in the front has good view with balconies. I booked the double room, and the receptionist (also the owner) offered me a room which was built as an extension. I refused to stay in that room and offered another room, which made no difference from the previous one. 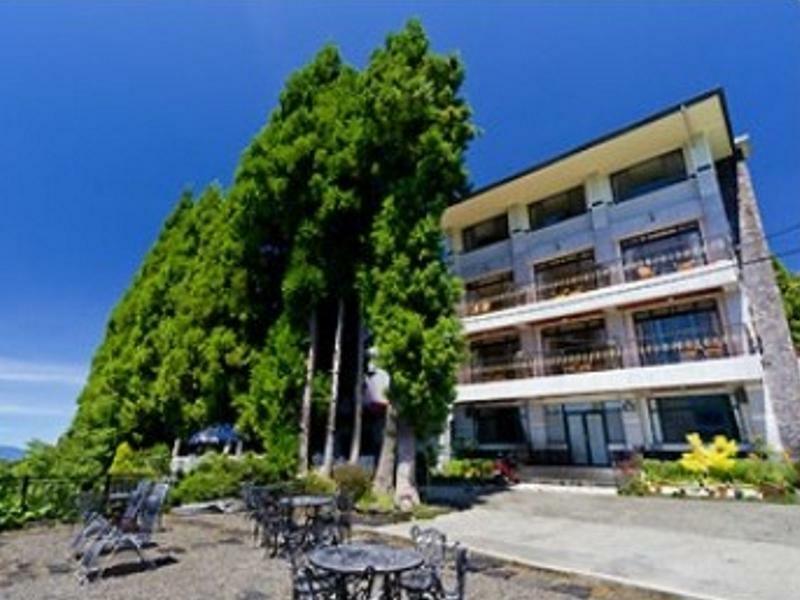 Then I paid additional charges to upgrade to superior quad (I was lucky that they had a vacant one) with two large bed and a balcony facing the mountains, from where I can watch the sunrise and the beautiful sea of clouds. Everything else went well and I enjoyed the stay in this hotel. The hotel was bit far from the main locations if you choose to walk. The owner is good and helping. The view from this hotel is exceptional, if you choose the right room. Will visit again. It was a pleasant stay for us as it's conveniently located near the farm. Owner allowed us to check in early like 12 PM and provided us a room with balcony, facing the picturesque scenery of Chingjing. Room is big and clean. Overall, we really enjoyed our stay and will probably stay in this B&B in future. have to carry your luggage, no lift in the hotel, suitable only for who drive. hard to locate the hotel. Value for money and worth it. Breakfast a lot of variety. It's worthwhile to note that this hostel is located discretely from the main road and the receptionist (50ish 阿姨) is totally impolite ! There are no street lights to lead the way. If you happen to have a late arrival to chingjing. Careful for not making the stay in this hotel as it might ruin the rest of your memory to this beautiful town. What happened on my family and I was, we arrived on 5:50pm when the sky is not entirely pitch dark. It took us 30 mins from the bus station to the acc.! (Partly bcz we SOS seeking for direction to the hostel and the reception didn't pick up calls at all!) Further to our arrival to the hostel, it took us another 30 mins to settle down. (Once again there's no one was at the reception & no way they could be reached).The 50ish-year-old reception were found enjoying her comedy in one of the hostel room. We were given a room at 4th floor simply because I have made request on "Mt. scenic view". I have an opt for rooms at lower floor if I pay extra. Great location, near to the farm. I stayed in Room 306, thought I could breath in some fresh air when opening the windows, but what I got is exhaust smell/ burning of diesel/carbon monoxide, this room is facing rear where all the water heating facility are. I was even woken up by the smell, very awful. 1. Clean room. 2. Nice view. 3. Have to walk 10 mins from QingJing Farm stop to the main junction, and 15mins more from the junction to the hotel. Not so convenient for solo traveler who carrying big laugage and taking public transportation. We had a good stay here. 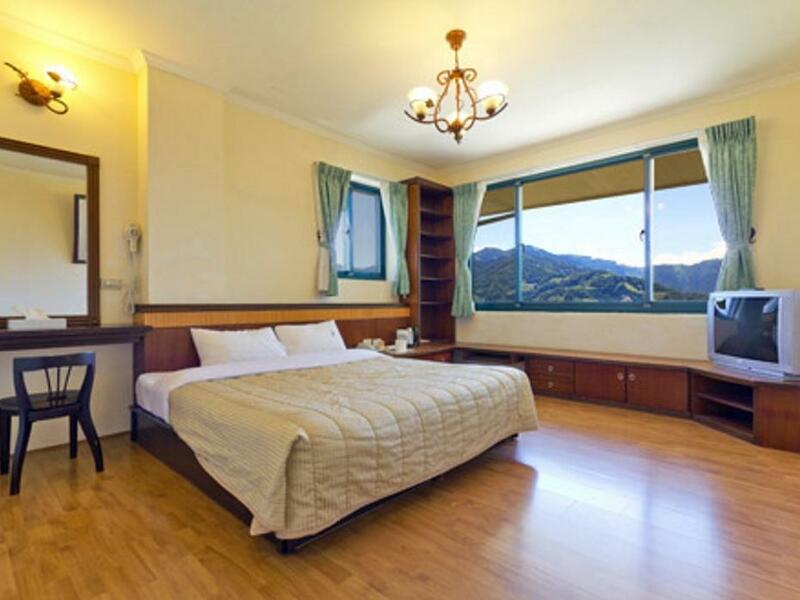 The room has a balcony and good view of the hills of Chingjing. Room is also spacious. Simple but decent breakfast provided. It is away from the town, so getting to or from the lodge by foot is not recommended. However, the farm is near to it and can be reached by walking. Pretty average. Owners not as helpful as we would have thought. We were allowed to check in much earlier which was a good thing as we arrived 11 am and it was really cold. Not that the room was heated. We got "upgraded" to a quad room on the 3rd storey as that was what was ready at that time. Cleanliness was average, view is great if the weather is good. You could rent an electric blanket for 100NT for your stay. Order your dinner with them before 5.30 pm if you desire for some home cooked meals, they are not stingy with their portions. Loved that dinner we had. Location is can be considered good as its just 10 mins away from Green Green Grassland. But its next to nothing other than that, walking anywhere to find food is probably 20 mins upslope. Best to leave your wheeled luggage at home and come with a backpack. Breakfast is simple Taiwanese porridge with some condiments. They have toast as well. They have 3 cats that stay with them. Sleeping almost all the time.